Pass the Cereal: Welcome Summer! It's the last day of school for the big kids, so I thought I'd share this summery treat I made for EJ's school picnic. 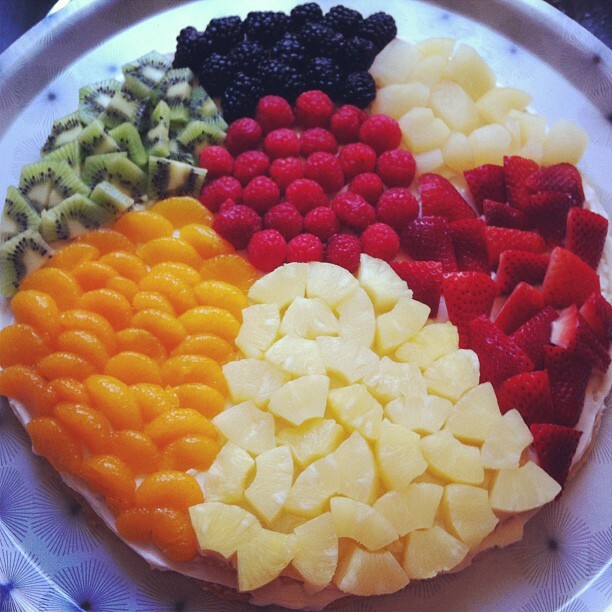 My beach ball fruit pizza wasn't quite as bright as the original, but I'd call it a win (found via Pinterest). I made the crust and "sauce" according to this recipe and copied the beach ball fruit idea from this recipe. Hope everyone in our 'hood has a great last day of school. Welcome summer! the picture is just divine!